Selling your house can feel like an overwhelming task. From getting the property ready for sale to the final paperwork, a lot goes into the sale of a home. If you are looking to sell your house in Houston, a real estate agent will be able to walk you through the actual sales process. However, there are some items you can attend to long before you ever put the property on the market. Check out these five tips for selling your home and contact us today to find out more about how we can help you with home real estate. 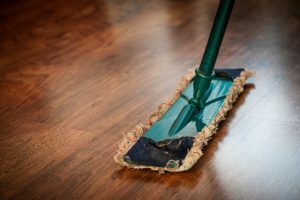 The first place to begin is with a simple cleaning of the home. It is amazing how much of a difference cleaning can make. No one wants to walk into a home that is grimy and dirty when they are trying to envision the house as their future home. A dirty home will be much more difficult to sell as people will struggle to see past the grit. Cleaning your home will allow for the best features to shine and will make it seem like a place someone else would want to call home. Start by choosing one room in the house and working to deep clean that space first. Each day, move to a new room until the whole house is sparkly clean. The next thing you will want to do is pack up the personal items around your home. Pictures of you and the kids out on the boat or your five year old’s artwork hung along the walls will not help sell the house to someone else. The less personal items you have around the home, the better. This will allow potential buyers to see their own family photos on the walls in their mind, rather than distracting them with your personal decor. Another place you will want to focus on cleaning is any outdoor space. From your back patio to the front yard, make sure the area is clutter free and looking its best. You don’t need to go crazy and pay for entirely new landscaping, but removing fallen limbs, trimming bushes, weeding, and getting rid of trash will help improve the curb appeal of your home. Remember, you want those who come to your home to be able to envision happy times in the space. Help them picture backyard barbeques and games of football in the yard by cleaning up the outdoor living space. When people come to your home to tour each room, make sure there is an easy flow for them to follow. If your home is cluttered with too much furniture in each room, it can make it difficult for someone to navigate and can cause the space to look cramped and small. Less is more when it comes to staging your home for showings. Get rid of as much clutter as you can and stick to simple design layouts that allow potential buyers to envision their own style in each room. Finally, don’t try to handle the home sale process alone. Instead, find a qualified real estate agent in Houston who can help you list your home and find the right buyers. An experience real estate agent will have the industry knowledge you need to sell your home easily and with as little hassle to you as possible. 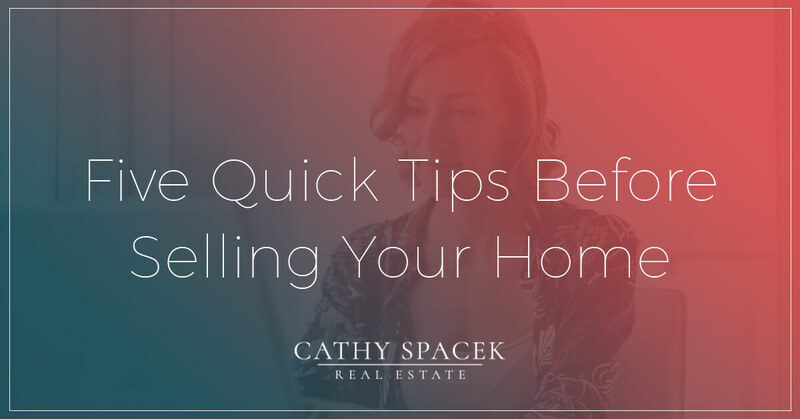 Take the stress out of selling and contact Cathy Spacek Real Estate today for help selling your home.